You can spend your days in the gym and your nights preppin’ healthy meals, but when it all comes down to it, all good things come to an end. And when ol’ Johnny Reaper ultimately come knocking, you'll want to know your family gets to keep all the cool stuff you’ve gathered over the years—not some smelly ol’ mound of debt. 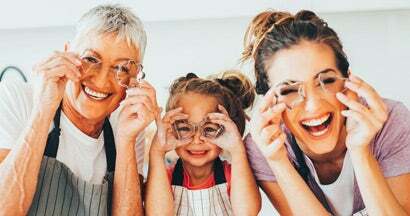 With that in mind, now's the time to start setting up a didn't-see-this-coming plan to guarantee that your assets will go to the right hands when the time comes. Our independent agents are here to help you find the best life insurance with estate planning so you can rest easy (both now and ...you know when). Simply put, estate planning is deciding where all your life’s swag goes when you pass on, in a way that helps preserve your assets for the least amount of money and effort. Since you’re no ancient Egyptian king, you can't take your things with you to the afterlife, so you have no need to keep them with you. That’s why estate planning allows you to designate beneficiaries (kinda like a team captain) to determine who gets your leftovers when you're pushing daisies. What Qualifies as an Estate? An estate is essentially someone's material net worth, either while they are alive or while they are not, depending on the situation you’re talking about. In the case of life insurance estate planning, your estate is basically considered to be whatever you own when you die. It doesn't just mean a literal mansion, either—an estate can include pretty much all the junk in your name. Who Needs Estate Planning and Why? Basically, anyone who has an estate needs estate planning. If you have any net worth to your name, you'll want it to be distributed according to your wishes when you die. If you don't prepare for how it'll be disbursed, then the laws in your state will decide for you. This process could be expensive, and ultimately not done according to your wishes. So your prized Beanie Babies collection might not end up going to your granddaughter, and she’d be totally crushed. How do you want your body disposed of? Who do you want to take care of your minor children? Most assets can be distributed outside of probate—the formal legal process of transferring legal assets at the time of death—by using a named beneficiary of your choosing. Once you've determined how you want your assets to be disbursed, you'll need to check in with the financial institutions that hold your assets about how to set up primary and contingent beneficiaries. A contingent beneficiary is the person who would inherit your stuff, should your primary beneficiary be unable to for whatever reason. If you have assets that don’t have the option of named beneficiaries, you'll want to consult an attorney about a will or trust. When Should I Think About Estate Planning? While there's no set age or time to start estate planning, your clock is always ticking. If you've developed an estate of any size, it's a good idea to start estate planning ASAP. What Is the Role of Life Insurance in Estate Planning? The first use of life insurance is to create an estate to provide for responsibilities that you don't currently have money to take care of. The estate will accumulate as long as you contribute to it, then when you're no longer around, a nice, plush financial cushion will be in place to take care of the things/people/duties you left behind. Paying taxes on estates over $10,180,000. Life insurance can be used to pay the estate tax bill on larger estates. If set up in a life insurance trust or owned by someone other than the policyholder, the proceeds don't count as part of the estate. Can Any Life Insurance Policy Be Used for Estate Planning? The type of life insurance policy required for estate planning depends on the policyholder's resources. Permanent policies can be set up so that the premium is self-funded by the insurance cash values and dividends. If there are other resources or income streams, term insurance might also work. It's a good idea to double-check with an insurance agent to be absolutely sure what will work and what won't. Ensuring that the policy will be active at the time of your death is your top priority. While existing insurance plans could be rolled into estate planning, you want to be cautious about potential tax issues that might come from changing policy ownership. For larger estates especially, it's best to seek out the help of a good tax attorney, CPA and insurance agent. Many life insurance companies have special services for those with larger estates. Totally depends. For the twice-a-day gym rat, a policy will typically be much cheaper than for a twice-a-day donut lover who considers "gym” a dirty word. Policies can range from the low double digits to the quadruple digits, but in essence, the more technically alive (i.e., the younger and fitter) you are, the lower your premium will be. Insurance policies can seem complicated or even daunting, and browsing through available options isn't the ideal way to spend a much-anticipated weekend. Independent agents exist to simplify the process. Our awesome and all-knowing agents will review your needs and help you evaluate which type of life insurance with estate planning makes the most sense for you. They'll also compare policies and quotes from multiple insurance companies to make sure you have the best protection out there. They'll hook you up—in a comprehensive and affordable way.